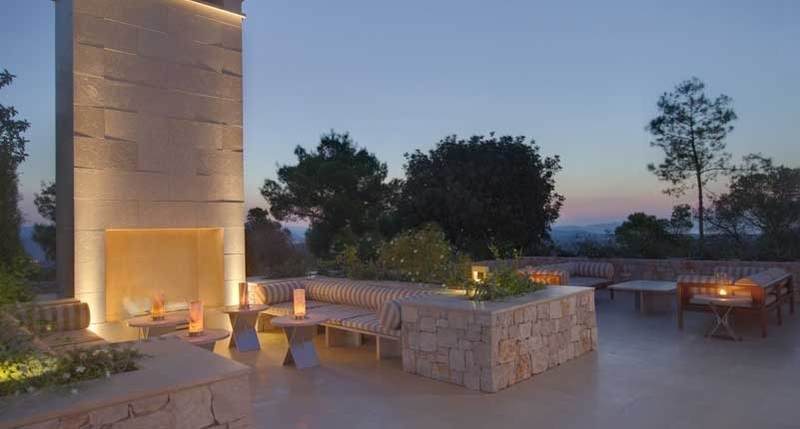 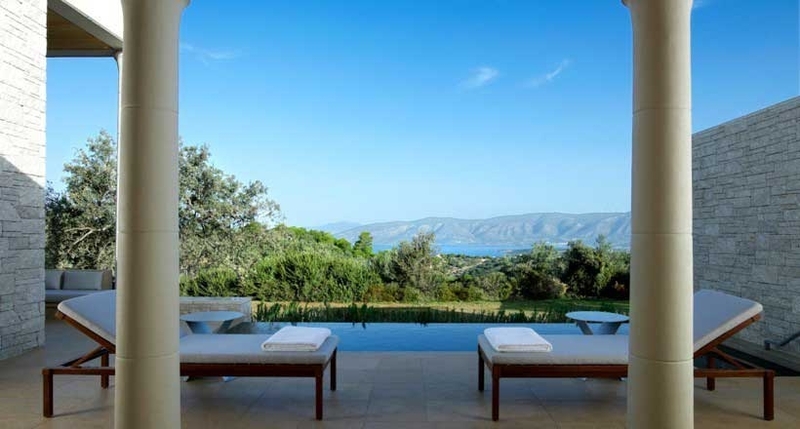 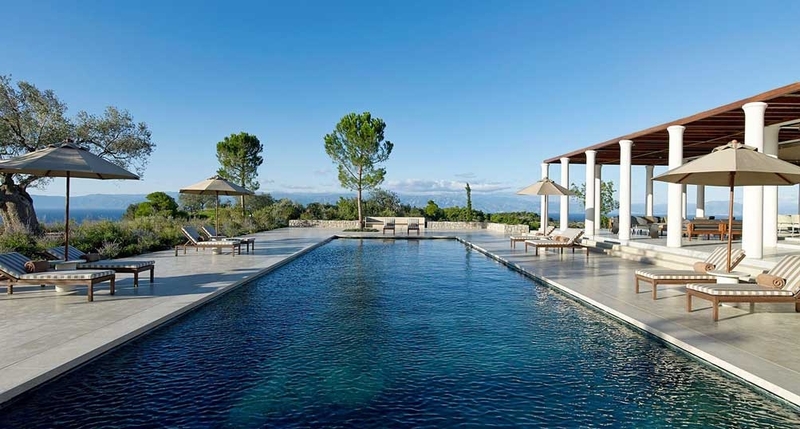 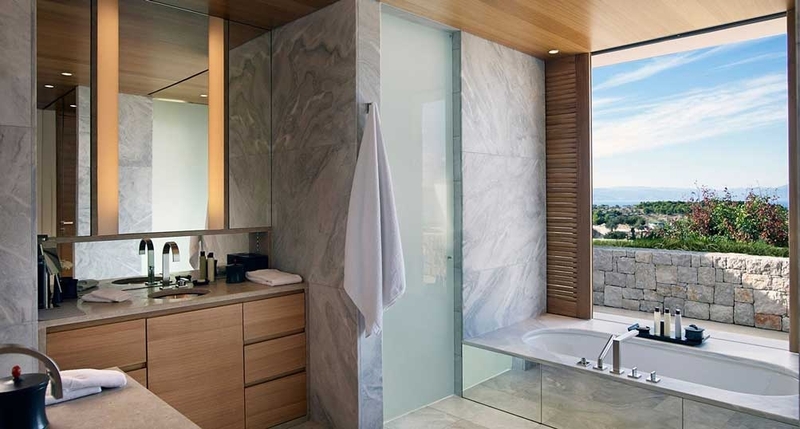 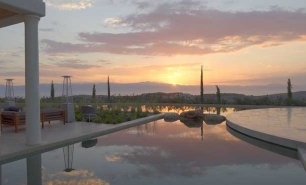 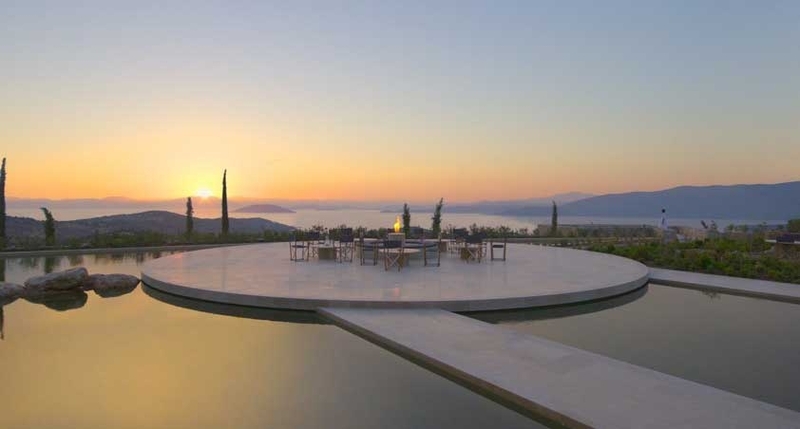 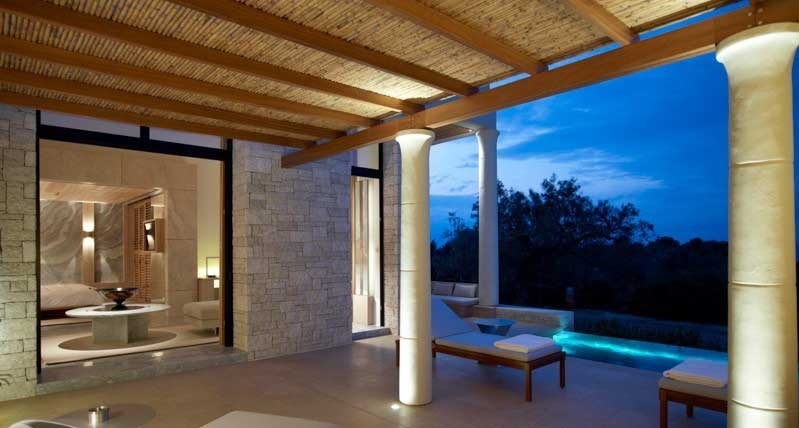 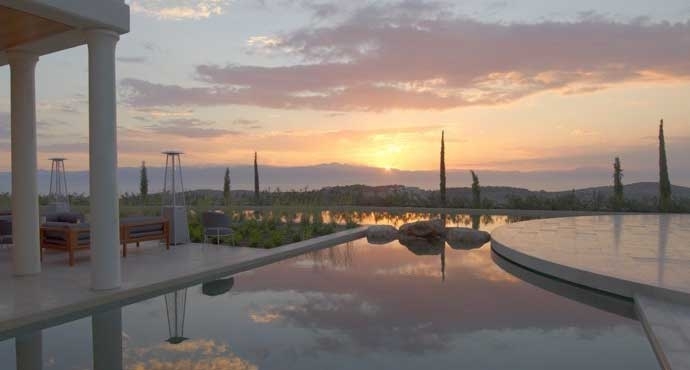 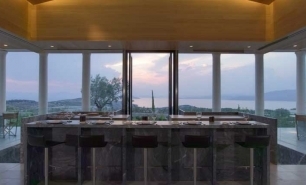 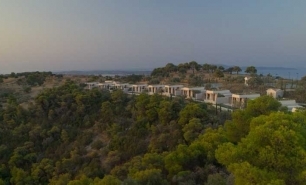 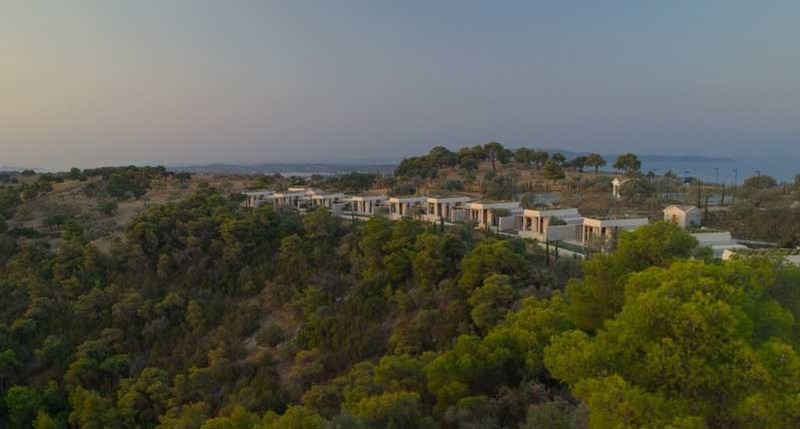 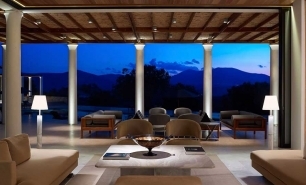 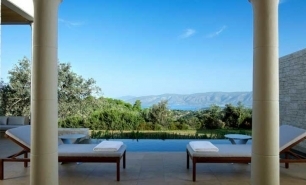 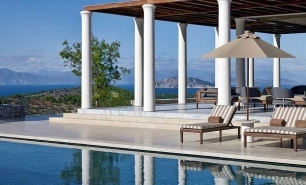 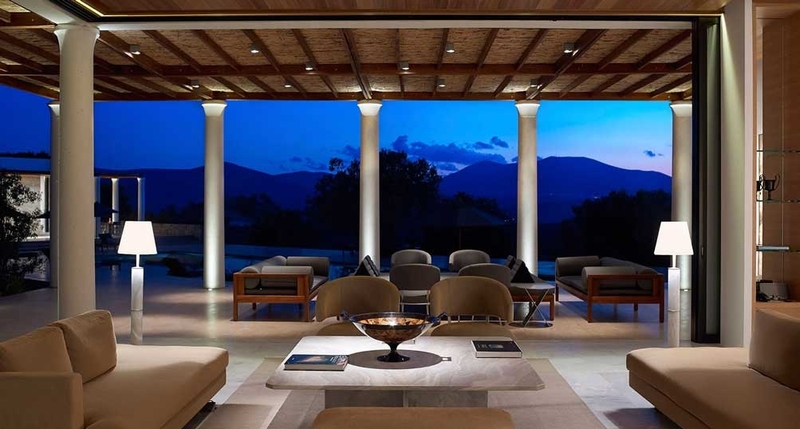 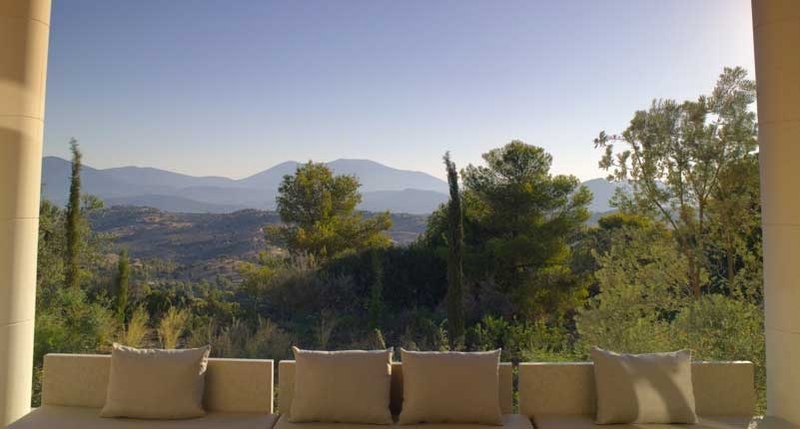 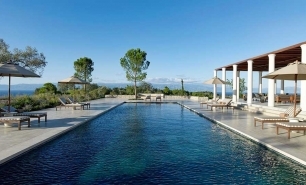 Amanzoe is situated on a hilltop close to the town of Porto Heli on the east coast of the Peloponnese Peninsula. 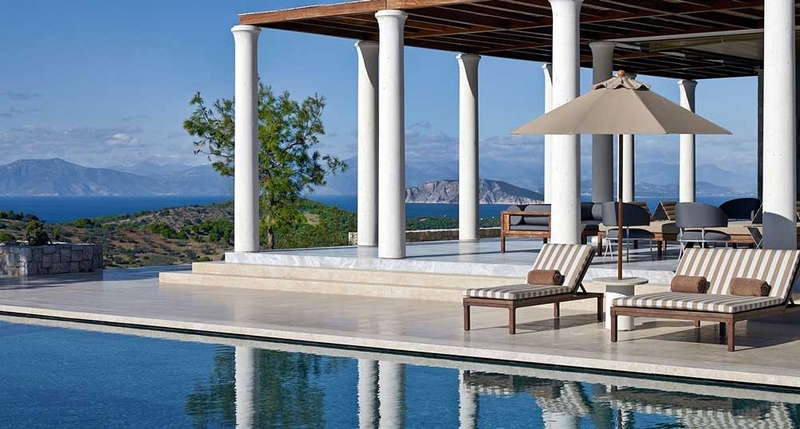 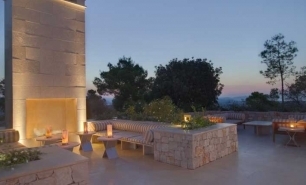 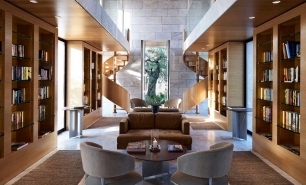 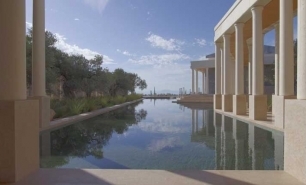 It is one of Amanresorts’ four hotels on the Mediterranean coast. 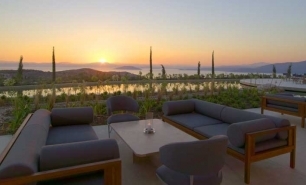 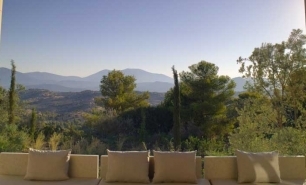 The resort offers panoramic views of the Peloponnese coastline and the island of Spetses. 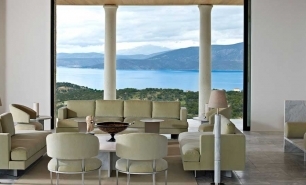 The town of Porto Heli, with its bars and tavernas is just a 10 minute drive from the resort. 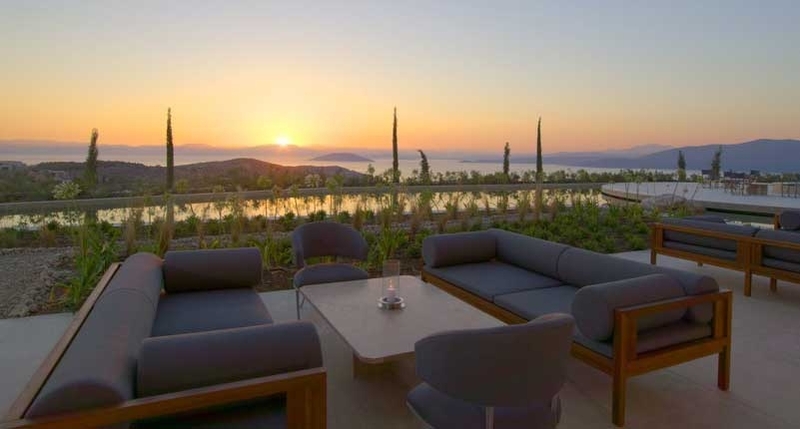 Although Amanzoe itself is not in a beachfront location, guests of the hotel can enjoy exclusive use of the Beach Club, which is in a picturesque bay-side location and is only a five-minute drive from the resort (via resort provided transfer). 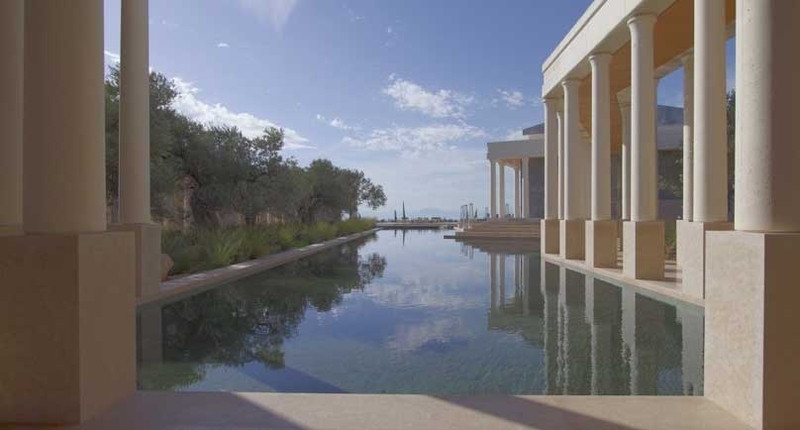 Amanzoe has 38 guest pavilions each with its own private swimming pool. 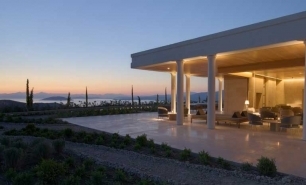 The pavilions are divided into four categories depending on location. 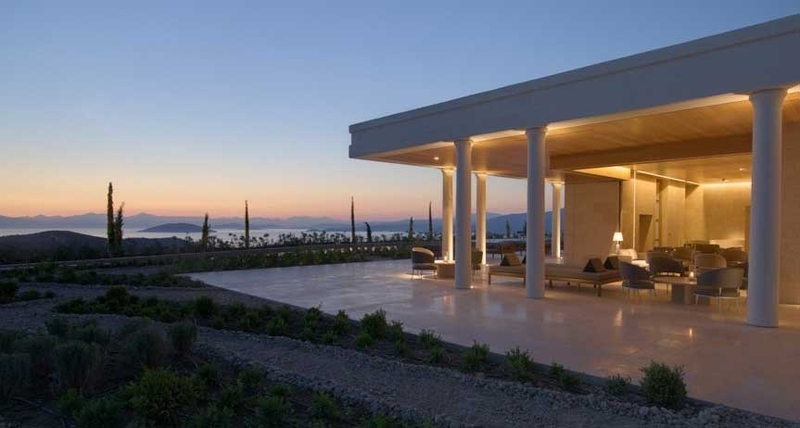 The free-standing pavilions are arranged on different levels to maximise privacy and offer excellent views over the Aegean Sea. 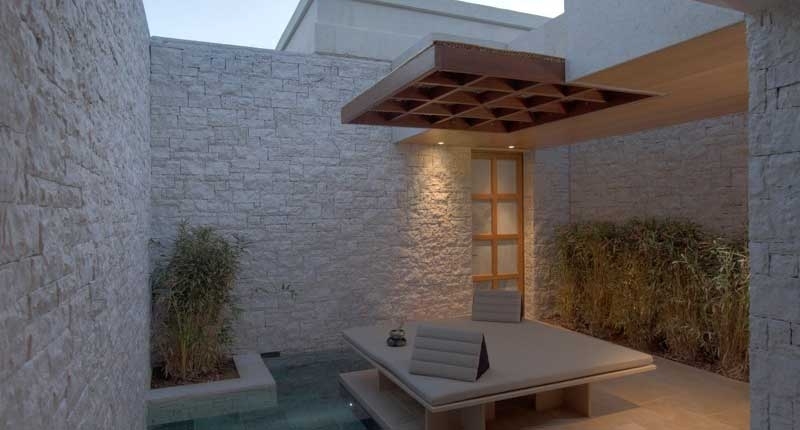 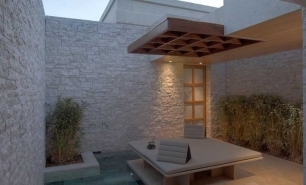 They have large living areas which open up onto a terrace shaded by a pergola. 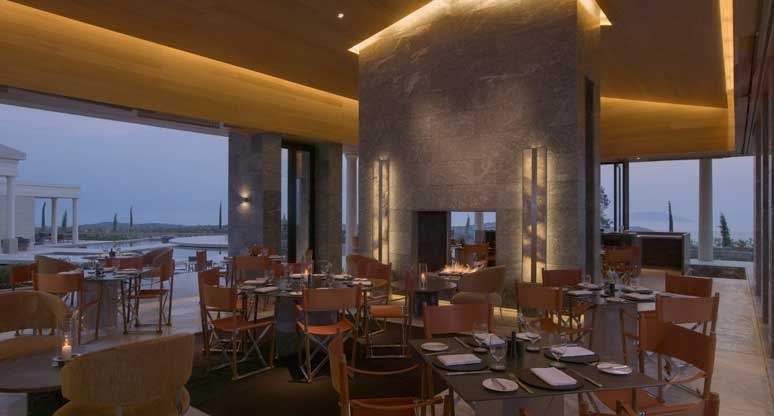 The Restaurant has floor-to-ceiling windows and an expansive outdoor terrace designed for al fresco dining. 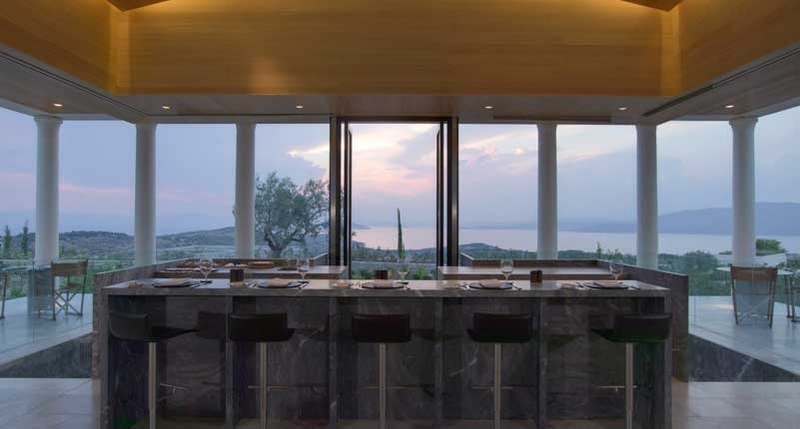 It is has an á la carte menu with Mediterranean and International cuisine. 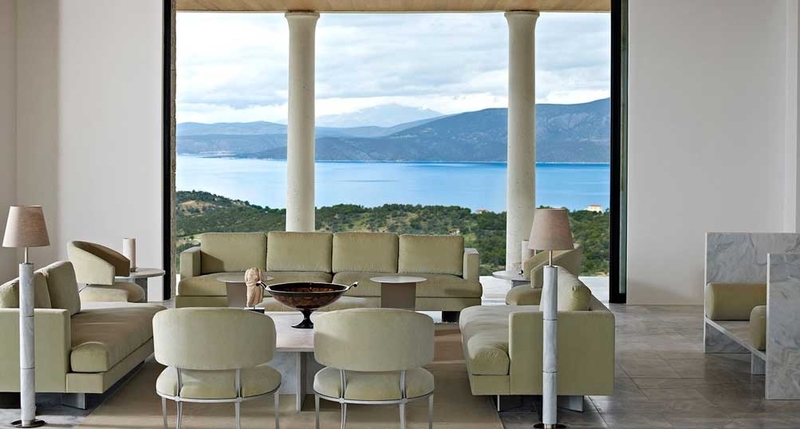 The more relaxed Living Room with its central bar is a great venue for an aperitif or light snack while the Pool Restaurant offers casual all-day dining. 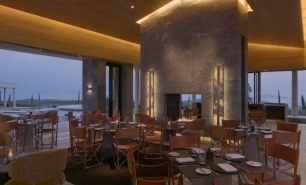 The Beach Club has a small informal restaurant. 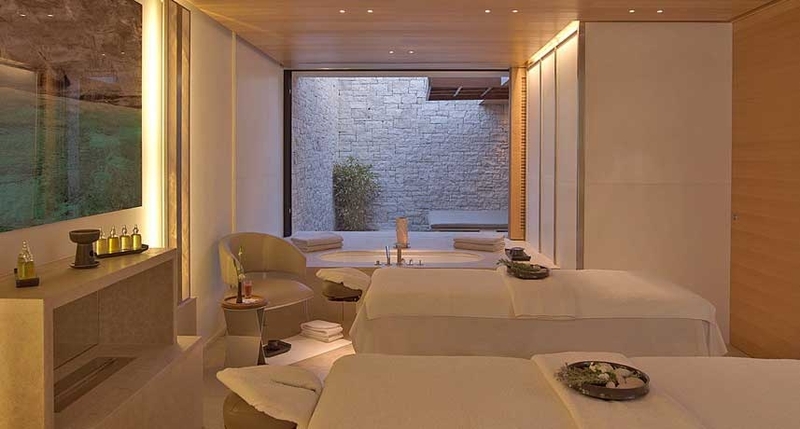 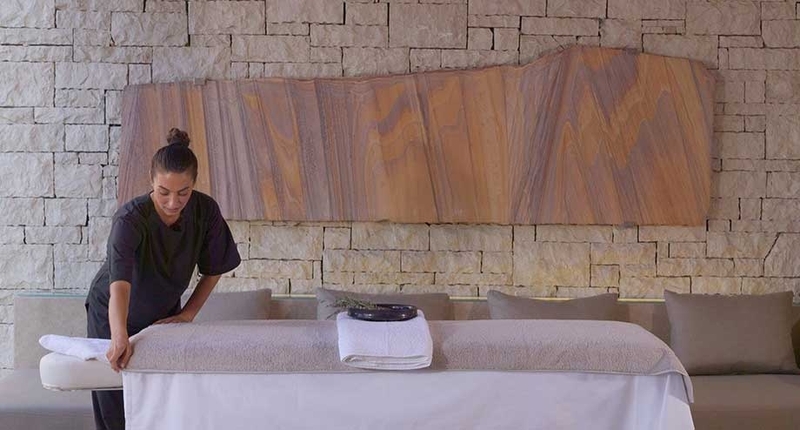 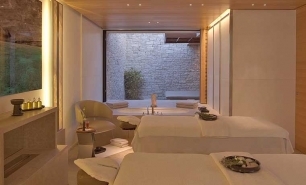 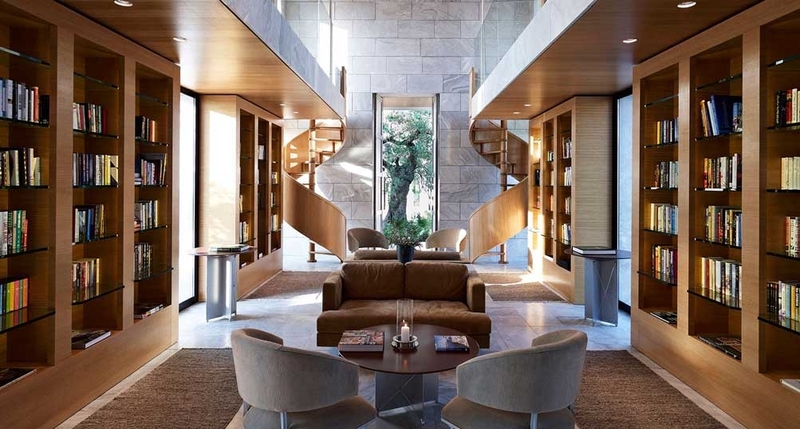 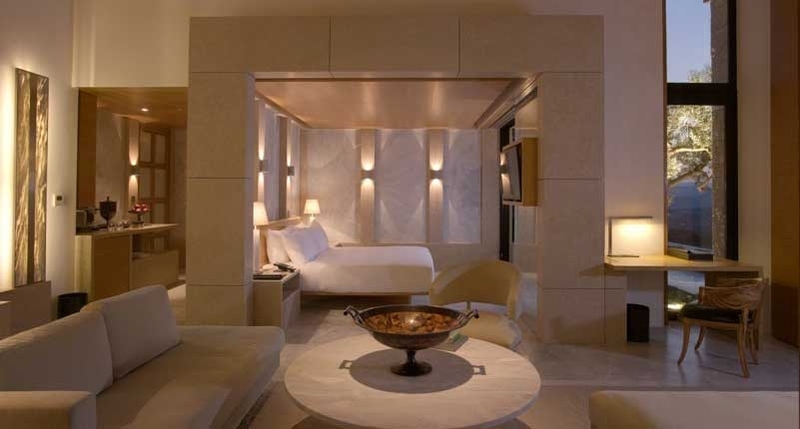 The resorts facilities include a private library, boutique & art gallery, Aman Spa, fitness facilities, large main swimming pool and a children’s pool. 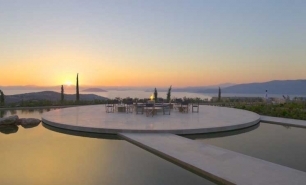 205km / 2hr 30 minute drive from Athens Airport (ATH) or 2hrs 30 minutes by hydrofoil from Piraeus port; 30 minutes by helicopter transfer from Athens Airport.